When it comes to green energy, Six Nations development corporation CEO Matt Jamieson knows his stuff. “There are 2,307 solar panels on this roof,” he says with a grin. He’s standing atop the Oneida Business Park, in Ohsweken, Ontario. The solar project he’s talking about produces 500 kilowatts of power, but that’s just a fraction of Six Nations total green energy holdings. Jamieson’s First Nation is one of more than 120 that has signed a treaty alliance opposing oil sands expansion and pipelines across North America. Battle lines are being drawn in Vancouver over Kinder Morgan’s planned expansion of the Trans Mountain pipeline while other alliance members are in court fighting TransCanada’s Energy East pipeline. But while many of the alliance’s leaders are invoking standoffs like the Oka crisis and last winter’s Standing Rock in their fight to block fossil fuel energy projects in Canada, they are also looking to green energy alternatives, and to Six Nations as an example of how to do it. Tsleil-Waututh Nation counselor Charlene Aleck’s first nation, in North Vancouver, B.C., is on the front lines of the campaign to stop the Kinder Morgan project. For the Tsleil-Waututh Nation, that means starting small – with a roof-top solar project on the new administration and health centre that’s now under construction. 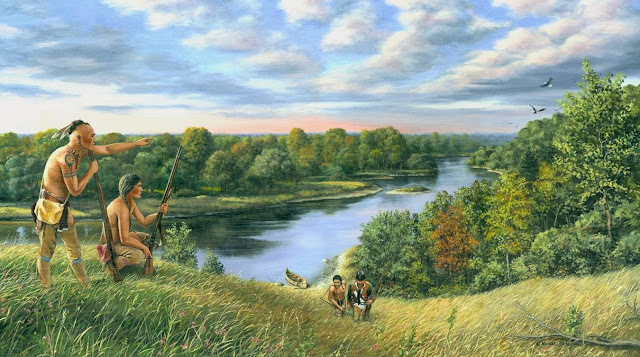 The Six Nations of the Grand River is already leading the country in renewable power projects, and is setting an example for its allies to follow. 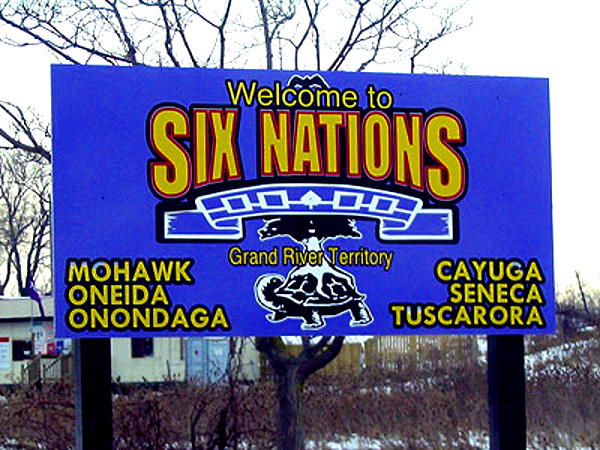 The Six Nations development corporation owns half of it. Add that to the other 16 green energy projects that Six Nations is involved in, and the community will see contributions of “well over $100 million over 20 years,” Jamieson said. Those projects also create more than 900 megawatts of renewable energy that helps feed Ontario’s power grid – enough to light roughly 185,000 homes. Other alliance members are also following suit. Manitoba’s Long Plain First Nation is working with the province to expand a geothermal heating project. And the Mi’gmawei Mawiomi – three Mi’gmaq in Eastern Quebec are partners in a 150-megawatt wind farm project that’s expected to produce enough power for 30,000 homes. That project went online in December. While Six Nations is now nearly a decade into its involvement with large-scale green energy projects, Jamieson said getting here wasn’t as easy as throwing a switch. 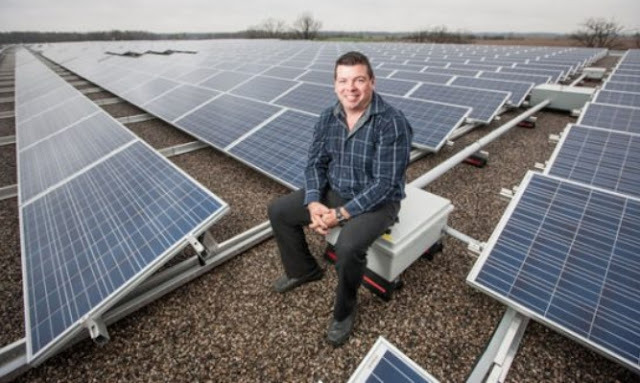 The Six Nations shift towards green energy projects started in 2009 when Ontario launched the Green Energy Act. 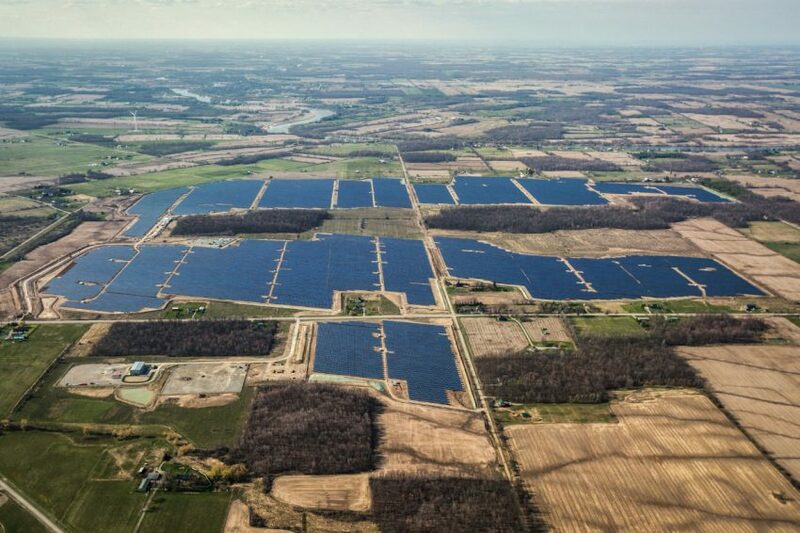 One of the first major projects to come out of that plan was the 404-hectare Grand Renewable Solar and Wind farm – part of a larger $5 billion deal Ontario made with South Korean giant Samsung to add more than 1,300 megawatts of green power to the provincial grid. “The green energy act triggered a lot of development activity around our territory and specifically the Haldimand Tract,” Jamieson said. 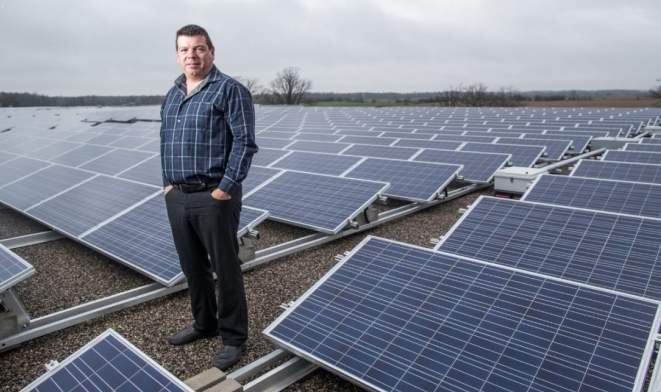 Now, eight years on, one of the development corporation’s more modest projects, a 500-kilowatt rooftop solar installation at the Oneida Business Park in Ohsweken, Ontario, was just awarded Aboriginal Project of the year by the Ontario Sustainable Energy Association. 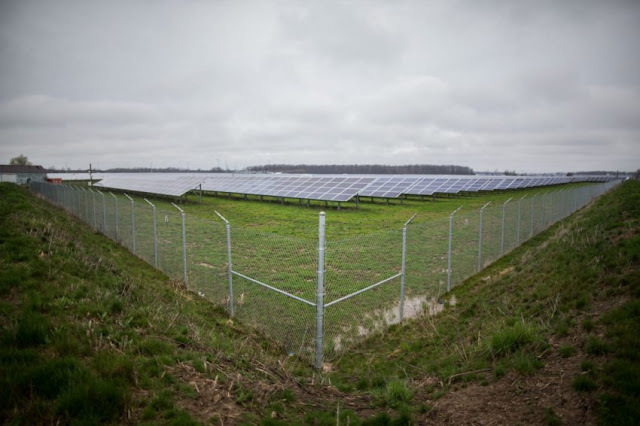 Responses to "Indigenous Power: Six Nations of Grand River lead the charge on green energy"